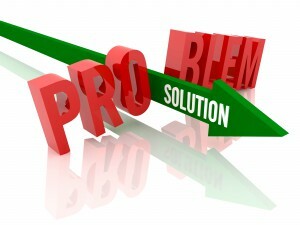 At work major problems and other "crises" situations are followed by an investigation by management. This investigation tries to find out what went wrong and what changes are needed to prevent whatever it was that happened from happening again. The problem is that all too often the findings are not implemented, so the situation leading to the problem or crisis are repeated. Why does this happen? 1. The Approach Used During the Initial Investigation. When something goes wrong it is all too easy to fall into a person-centred investigation approach by asking: “Who caused this problem?” and so the focus is on looking for people to blame for the problem. However, most incidents involve “system” failures not just human failures. If the management team fail to use a systems investigation approach by asking “What organisational conditions allowed this particular problem or crisis to happen” then the investigation will draw the wrong conclusions. 2. Identifying the Related Causes of the Problem. In any investigation it is easy to identify the obvious cause of the problem, but there may also be a number of reasons this obvious cause arose. If these contributing factors are not fully understood by the management team then despite changes being implemented the problem is likely to happen again. 3. The Right Change Management Process. On any good course on managing change you will learn that for effective change management you have to appoint a project manager and communicate effectively to the stakeholders to get their buy-in and address any resistance to the proposed changes. These are all good sound change management processes. What the course doesn’t tell you to do is: “Send out a report on the changes you want and your team will implement them” - but this is frequently the change management process that many managers use. They forget that for change to happen people need answers to the “what’s in it for me?” question and to be supported throughout the change process. 1. Adopt a systems approach to understanding why the problem happened. 3. Focus on redesigning the conditions in which the problem arose. 4. Look beyond the obvious cause of the problem to the reasons behind the cause - and deal with these reasons too. 5. Work closely with the people who need to adopt the changes you want to implement throughout the change management process.